A rich chocolatey and a very tender moist cupcake that has been adjusted for high-altitude. The rich flavor of the Baileys Irish Cream Liqueur frosting in a decadent combination with the mild hint Guinness Stout beer in the cake. 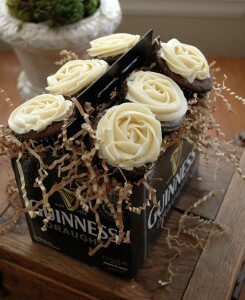 My inspiration for making these decadent gems was for beer lov'en Denny, a co-worker, for his birthday. This cupcake recipe received rave online reviews as its very moist and the hint of stout beer is prevalent, but not enough that it's overpowering. I have adjusted this recipe for high-altitude, as I live at 6,035 feet in CO. 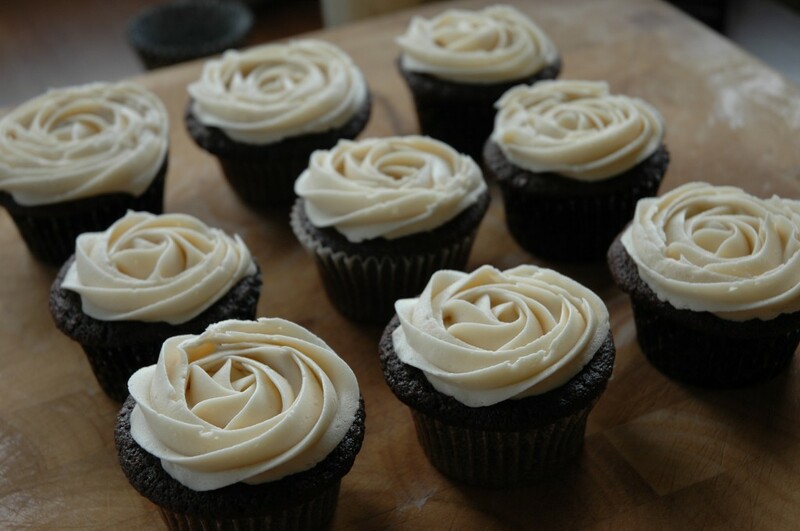 The rich Baileys Irish Cream liqueur butter frosting is decadent, so if you are a little "shy" with frosting, frost lightly, but you will love the chocolate, beer and Irish cream flavor combination. The extra step of melting the butter, beer and chocolate, is WELL worth the added time. 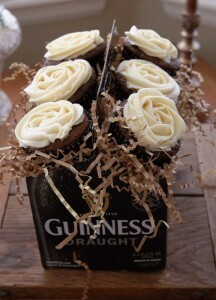 This is definitely a cupcake that guys will love and won't be shy to hold and eat! 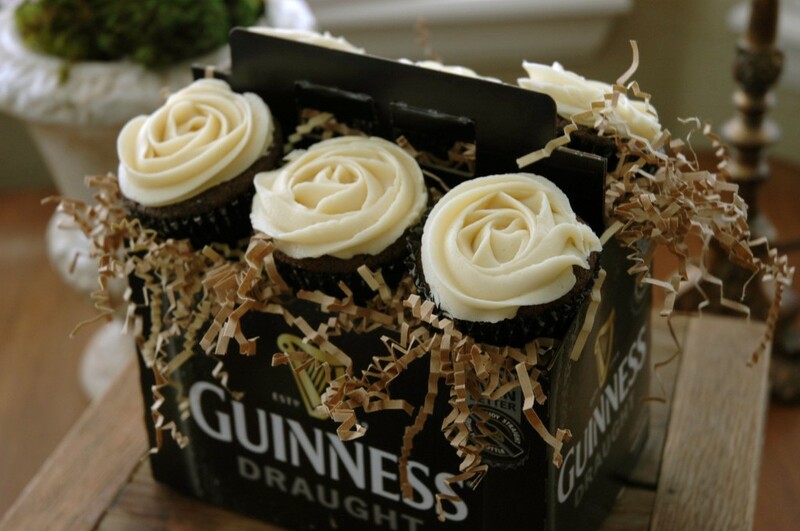 A little cupcake with a manly beer flavor! 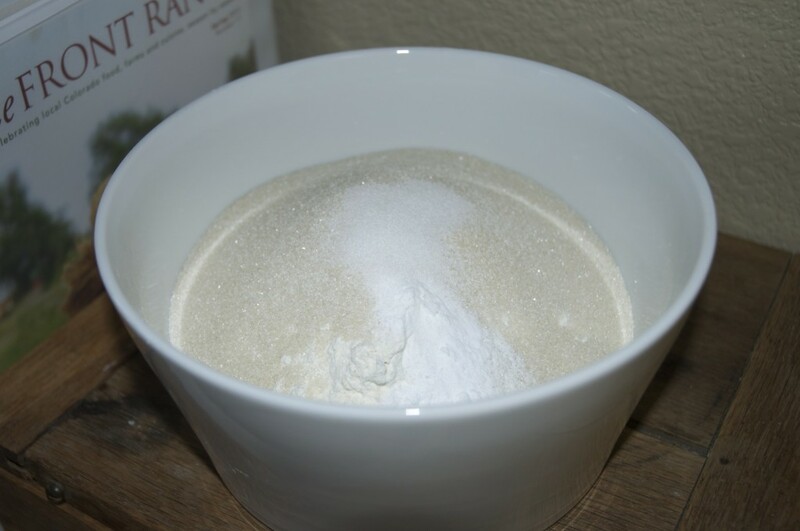 If you are at sea-level, SUBTRACT 1/4 cup and 3 tablespoons of flour and ADD 1/4 cup of sugar. 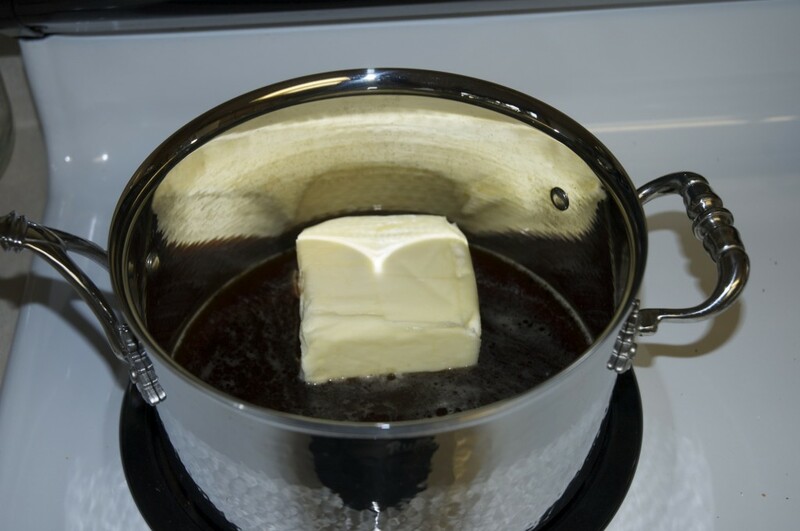 Bring beer and 1 cup of butter to a boil in a saucepan. Remove from heat and stir until butter has metlted. Set aside. 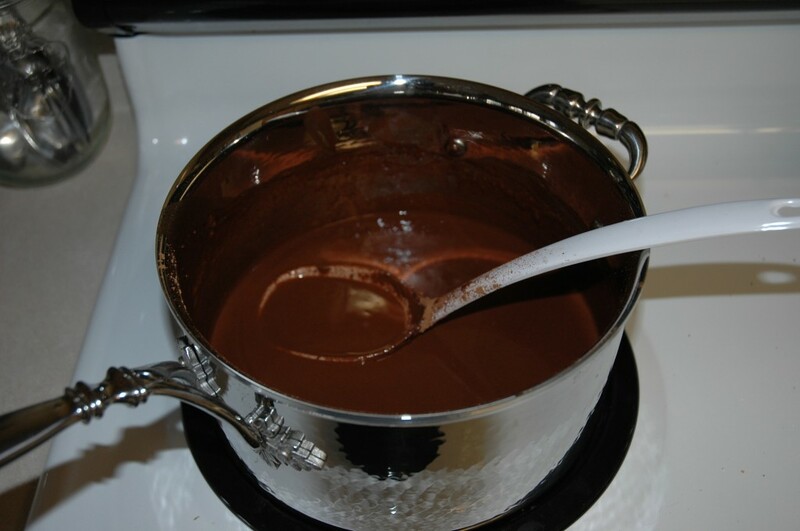 Mix in cocoa and combine thoroughly. Set aside. Whisk together, flour, sugar, baking soda and salt. Set aside. 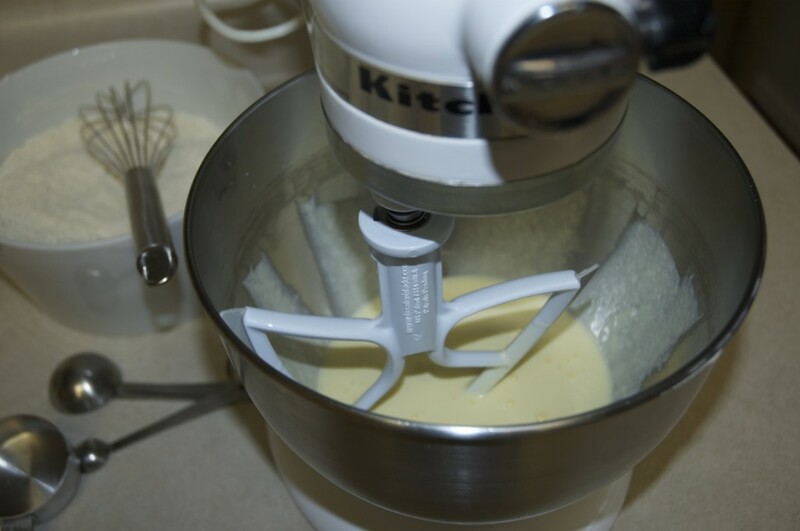 In a large bowl, beat eggs and sour cream with hand mixer or paddle attachment on low until combined. Slowly add the cocoa-beer mixture, then the flour mixture and mix until combined and smooth. Let batter rest for 15 minutes. 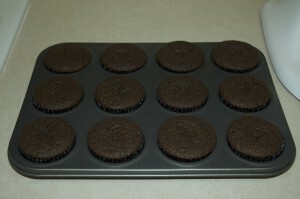 Using a #16 level scoop will fill the standard size cupcake 2/3 full. Bake for 17 minutes. (Check for doneness at 13-14 minutes). Step 9 Whip 1/2 cup of butter with hand mixer or whisk attachment until fluffy, 2-3 minutes. 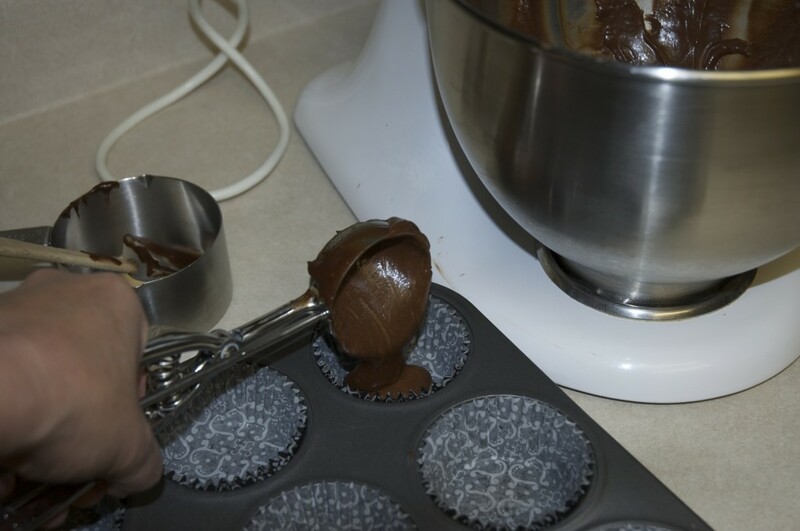 Step 10 On low speed, slowly beat in confectioners' sugar 1 cup at a time until frosting is smooth and spreadable. Step 11 Add 3 tablespoons of the Irish liqueur; adjust thickness of frosting by adding more sugar, or butter. If the frosting is stiff and sugary, add a tablespoon of butter at a time until desired consistency. If too wet and buttery, add more sugar until desired consistency. Spread or pipe frosting on cupcakes. 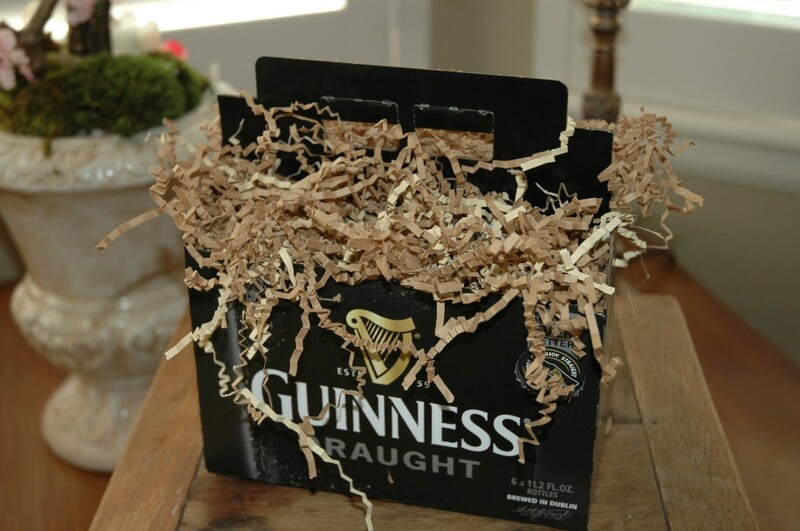 These are for you Denny, hope you like them. . . Happy Birthday!
. 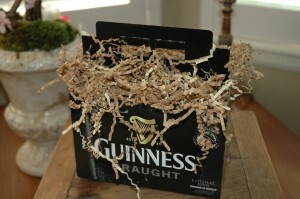 . . put in some decorative paper shreds . . .
. . . another view . . .